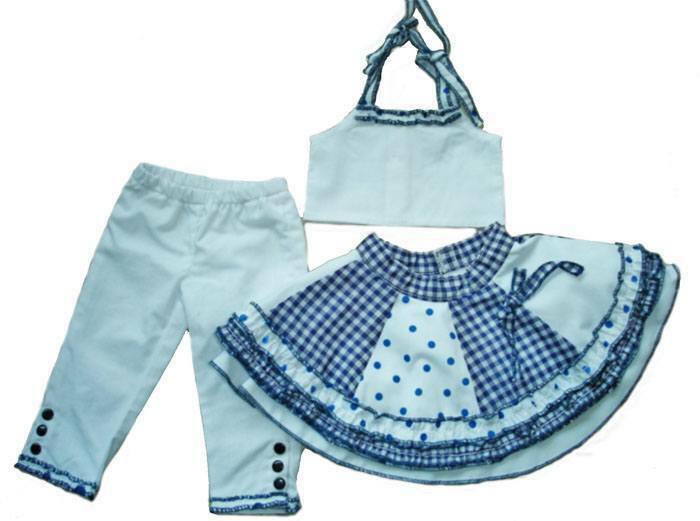 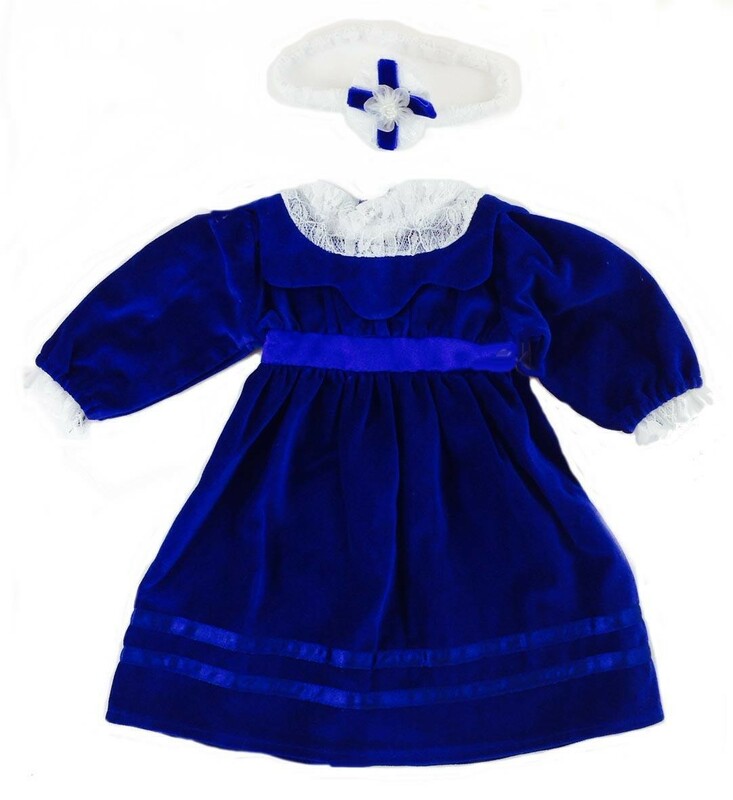 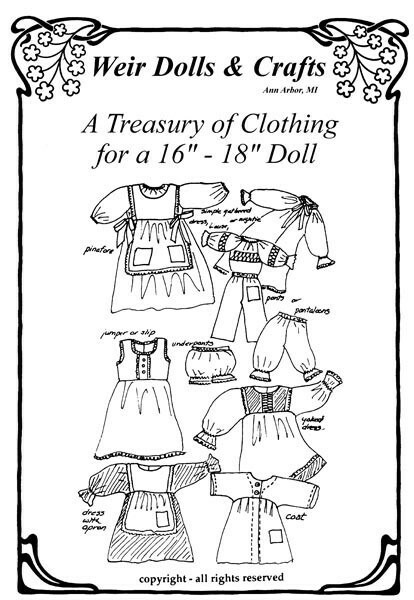 Sewing patterns and directions for a wardrobe of easy to make garments: yoked dress, jumper or slip, blouse, underwear and pantaloons, pants, nightie, simple gathered dress and pinafore and coat. 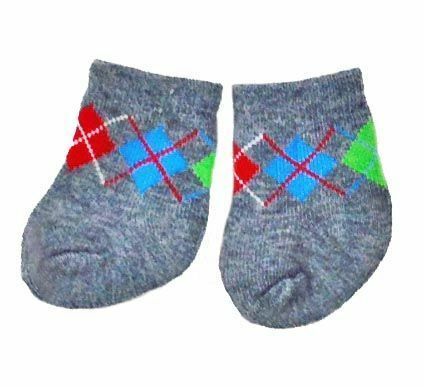 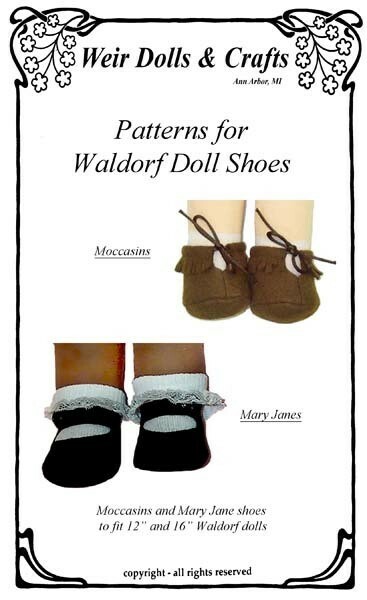 Patterns for both Mary Jane button front shoes and fringed moccasins. 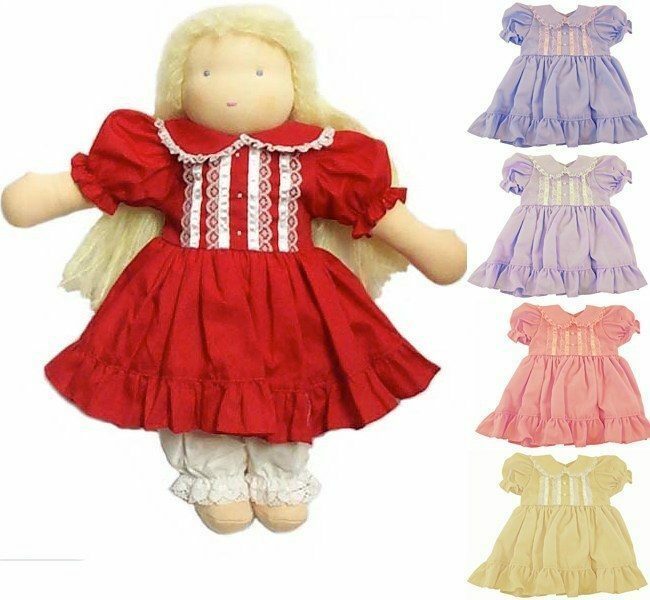 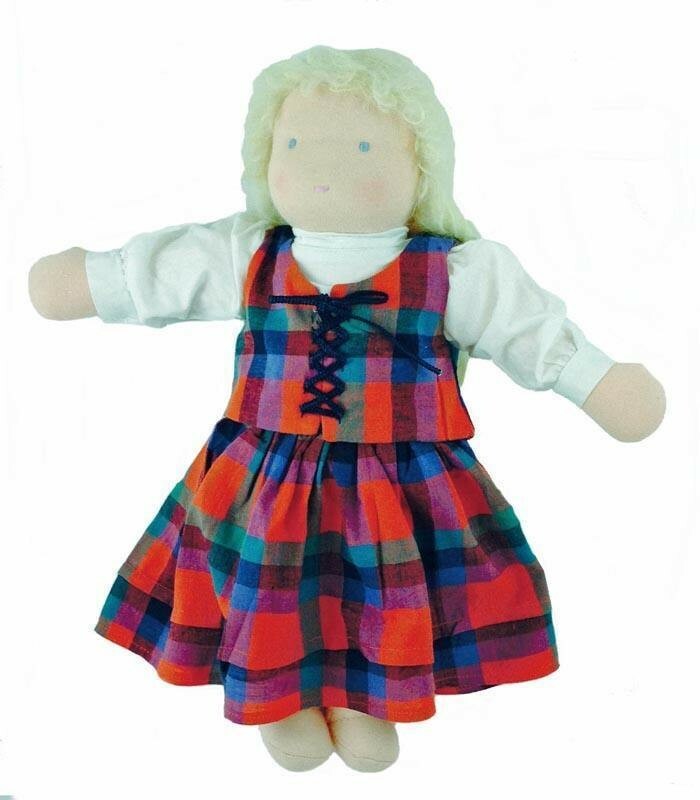 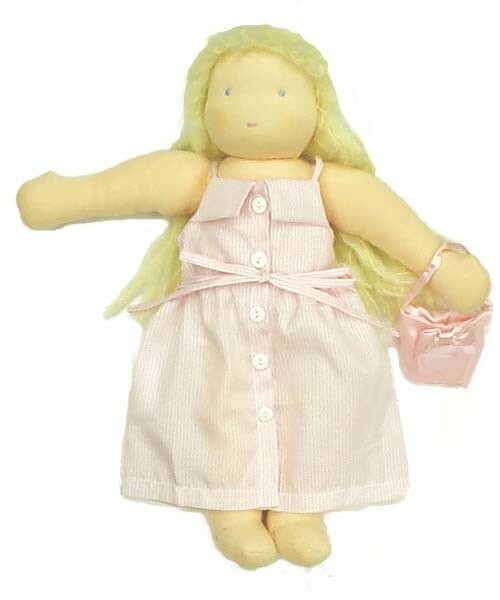 Sizes included for both for 12" and 16-18" traditional waldorf dolls. 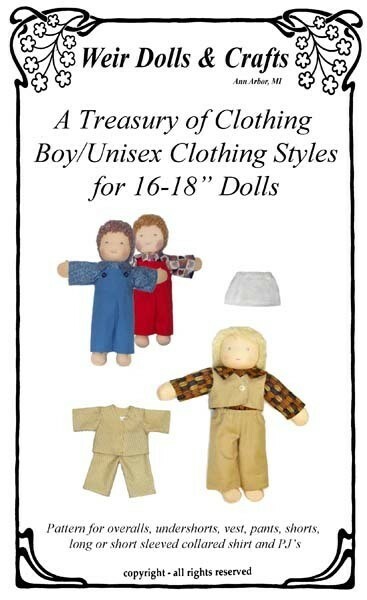 Complete instructions.